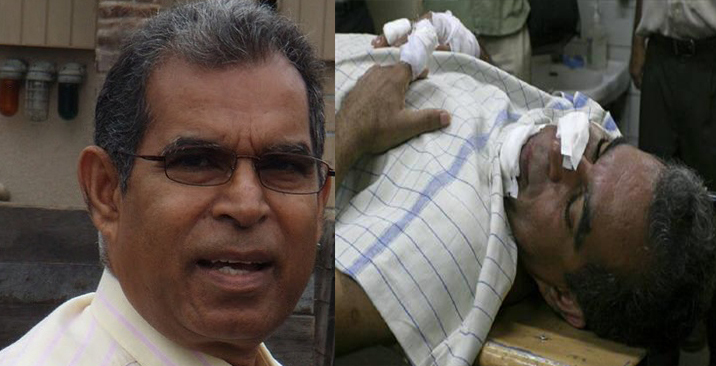 Senior journalist and former Editor of the 'Rivira' Upali Tennekoon identified the person who attacked him in January 2009, in a parade before Gampaha Acting Magistrate Mahesh Herath this morning. Following the attack, Tennekoon's wife received phone threats asking that Tennekoon resign from journalism, or face death. 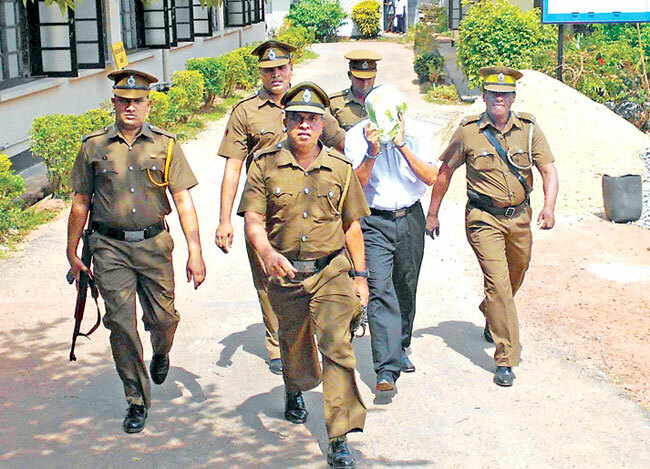 (Top) The suspect being taken to the court premises for the identification parade. Pictures by Nimal Jayasinghe, Gampaha Group Corr.